Blog > Cannabis Education > Medical Conditions > Asthma & Medical Marijuana: Safe Alternative or Obvious Aggravator? 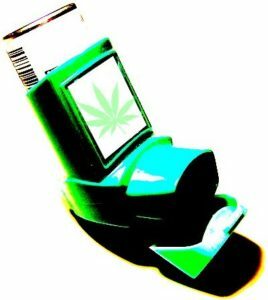 Asthma & Medical Marijuana: Safe Alternative or Obvious Aggravator? Asthma can be a terrible burden causing wheezing, coughing, and difficulty breathing. It can start during childhood and last for years, even a lifetime, though can be maintained with medical care. But does that care extend to medical marijuana, despite being synonymous with smoking, coughing and lung irritation? Asthma is a chronic respiratory disease, causing spasms and inflammation of the lung’s airways. Tubes carrying air in and out of your lungs swell, narrow, and produce extra mucus, making it difficult to breathe. Coughing and shortness of breath can be a scary situation for some while just a mild annoyance for others; regardless, if left untreated, it can lead to a much more serious, even deadly, issue. An asthma attack triggers severe asthma symptoms and should be treated immediately. The rapid swelling and tightening of the muscles around the airways, combined with excessive sticky mucus, restricts oxygen flow to the lungs, potentially leading to death. Although mild attacks are the most common and last anywhere from a few minutes to an hour after being properly treated, a severe attack requires medical attention. Although there are no clear reasons why some get asthma and others don’t, it is known that combinations of airway irritants could lead to heightened symptoms or trigger an asthma attack. These triggers vary by person, but the most common are airborne irritants like pollen, dust, pet proteins (dog and cat allergens), mold spores, and smoke. Anything that can cause the lungs to swell may also be a trigger, including other illnesses or medical issues that irritate or infect the breathing passages. 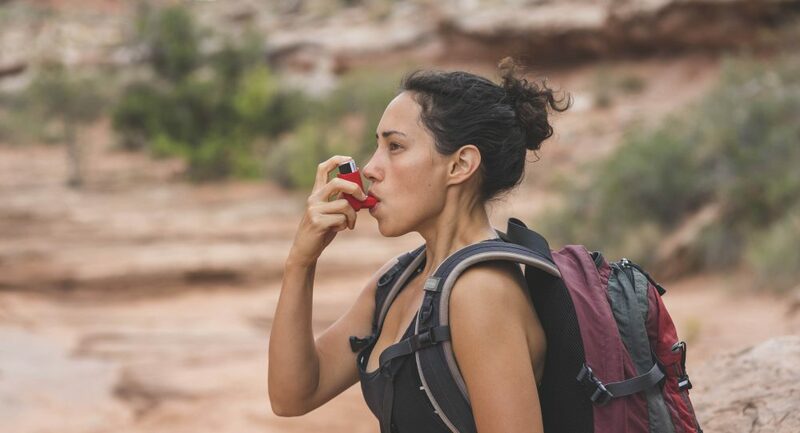 Respiratory and lung infections, the common cold, and stress take a heavy toll on asthma management, prompting a mild attack to become much worse. Medications, sulfites, and preservatives can contribute, so avoid aspirin, ibuprofen, and processed meats if your asthma’s triggered easily. Heavy physical activity, like an intense cardio workout, can also trigger a flare, so if you’re prone, don’t overdo it. Coughing: usually accompanied by heavy phlegm or a dry cough, it can range from mild to severe, though coughing at night or during exercise can be the most irritating. Wheezing: a high-pitched squeaking or whistling when breathing caused by the narrowing or inflaming of the airways. Difficulty breathing: tightened airways and paths blocked by mucus can cause shortness of breath or make breathing a struggle. Chest pain: tightness can be restricting, painful, and cause panic thinking it’s something worse. Difficulty sleeping: coughing, chest pains and wheezing can make getting a good night’s rest very hard, resulting in lack of energy and focus. Asthma is typically kept under control by self-medicating with bronchodilators like inhalers and other medications. Inhalers contain different medicines for symptoms and management. An inhaler containing albuterol can be used for treating symptoms during onset, while an inhaler containing steroids can be used to prevent symptoms. When introduced into the lungs’ airways, these medications act quickly and rapidly; but for longer-lasting effects, inhalers containing formoterol, salmeterol, and tiotropium can also be used. Oral steroids can prevent and maintain symptoms, reducing inflammation and easing the airflow down the pathways to the lungs. These medications and injections can help manage the body’s sensitivity to airborne allergens, reducing your immune system’s reaction to them, and are especially beneficial if you suffer from severe asthma. All medications should be regularly modified depending on the severity and frequency of your asthma. Oxygen therapy may be needed for breathing assistance in extreme cases. Also recording asthma problems and triggers with a calendar helps pinpoint peaks and helps manage further complications. Approximately 25 million Americans suffer from asthma. Children are more likely to suffer from an asthma attack than adults; however, over half of all asthma patients suffer from at least one attack each year. For adults, asthma is more common in women than men. For children, asthma is more common in boys than girls. Approximately 10 people in America die from asthma every day. 65% of all asthma deaths are women. Medical marijuana has similar effects on the body’s airways as some asthma medications. People may think because tobacco can be an asthmatic trigger, marijuana would do the same; but the truth is that medical marijuana works as a bronchodilator, strengthening the prevention and easing the onset. While smoking cannabis may trigger an attack and eating it won’t act as quickly, using a vaporizer or vape pen to inhale the cannabinoids like you would steroids from an inhaler is a lighter, healthier and more effective option. Acetylcholine is a neurotransmitter responsible for contractions during an asthma attack. While inhaled medications tend to block the acetylcholine receptors, THC prevents acetylcholine from being released in the body. Cannabis is also a very powerful anti-inflammatory. THC and CBD (cannabidiol) interact with the body’s built-in endocannabinoid system to reduce inflammation of the bronchial tubes. Since asthma’s considered a chronic inflammatory condition, tube inflammation can constrict breathing, the cannabinoids’ anti-inflammatory properties can really help. Involuntary muscle contractions around the airway tubes can be difficult to manage. Medical marijuana is commonly used as an antispasmodic, so the cannabinoid THC has shown to assist ease tube contractions. A bronchodilator, opening the body’s airways. Cannabinoids’ anti-inflammatory properties restrict swelling and puffiness of the bronchial tubes. Blocks acetylcholine, which causes contractions during an asthma attack. Cannabinoids are antispasmodic, preventing and calming painful, breath-shortening contractions. Smoking cannabis causes coughing and lung irritation. If smoked, increases mucus production. If smoked with tobacco, could make patients twice as likely to develop lung disease. A study conducted over a span of 20 years on asthma patients and smoking marijuana discovered that smoking moderate amounts of marijuana increased lung functionality, as opposed to cigarettes. Lung experts and researchers at UCLA concluded, as previously mentioned, that cannabis acts as a bronchodilator. 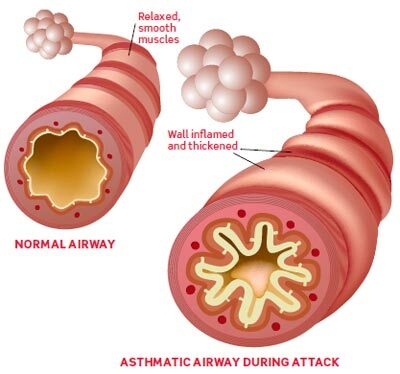 Not only do the airways expand for patients suffering from asthma, they expand in healthy individuals as well. In 2014, the British Journal of Pharmacology published an article on the effects of THC on asthma patients. Their findings concluded that THC blocks acetylcholine from being released, acting in a slightly different way than typically inhaled steroids, and in a highly efficient way. Cannabis products can provide almost immediate relief for most symptoms, with the vaporizer being the most common. It’s administered in the same way as an inhaler, and because it’s light, clean and potent, vaporizing THC can treat symptoms, especially bronchial dilation issues, very quickly. Ingesting cannabis products with both THC and CBD may be preferred for patients suffering from chronic asthma spells or for patients looking for long-term symptom relief. Edibles, tinctures, and raw hemp oil are all great ingestible alternatives to smoking the plant in any form. If you’re looking for mmj products to treat your asthma here in California, you’ll need a medical marijuana evaluation to receive a recommendation, which can quickly and easily be obtained by using NuggMD. NuggMD connects you with a licensed doctor who can assess your condition and get you your rec without leaving the house. Once you’ve become a certified mmj patient you can remain home and have the medication come to you using Nugg, California’s biggest marijuana delivery marketplace. Not only can you find local dispensaries that carry what you’re looking for and bring it to you, but you can also read reviews, compare prices, and skip the commute, parking and crowds! “I suffered from severe asthma attacks (almost died 4 times) as a child and was hospitalized over 2 dozen times before the age of 4. [After] smoking pot… I found perfect health.” —Cheryl K.
“The steroids only made me feel worse and I didn’t feel like my lungs felt any better. I started smoking marijuana and not only did I feel the best I had in months but my lungs have never been more clear.” —E. I just tried a vape pen with a 4:1 ratio and it burned after the inhale. In fact, I got bronchitis shortly after. So I’m skeptical of how it can help when it can trigger a reaction.